Below are the re-training opportunities for each Military Occupation Specialty (MOS) for Army soldiers in the ranks of Specialist (E-4). Coincidently, the below chart may also be used to gate the relative manning levels (overmanned, undermanned, balanced), for each Army MOS. If there is a "Y" in the "IN" column, that MOS is considered to be undermanned in the grade indicated. If there is a "Y" in the "OUT" column, that MOS is considered to be overmanned in the grade indicated. If there is a "N" in both the "IN" and "OUT" columns, the MOS is "balanced" in the indicated grade. 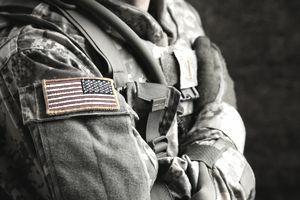 To be authorized to reclass or reenlist "out" of a current PMOS (Primary MOS), there must be a "Y" under the "Out" column, regardless of promotable status. To be authorized to reclass or reenlist for a new MOS, there must be a "Y" under the "In" column of the MOS the soldier wishes to reclass or re-enlist into, regardless of promotable status. However, promotable soldiers may also reclass/re-train into a MOS with a "Yes" in the "In" column, at the next higher grade (see charts for the other ranks). Can I Return to School Without Leaving the Marines?